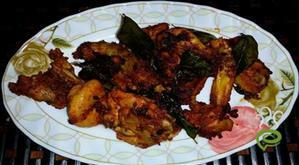 Pepper Chicken Curry is an awesome peppery gravy dish that blends well with all flavored rice dishes, appam, porotta, chappathy almost anything. Rich in antibacterial and antioxidant properties, black pepper enhances the flavor of all dishes. Black pepper also aids digestion and improves circulation. Freshly ground pepper powder is opted for enhanced aroma and flavor. 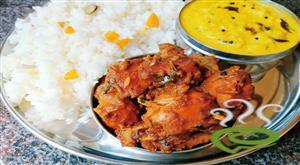 You can explore an authentic and simple hot and spicy Pepper Chicken Curry here. The delicious and unique flavored chicken curry dish requires very little time with minimal ingredients. 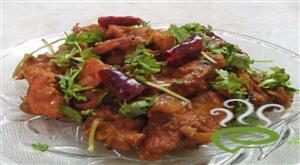 Pepper Chicken Curry is well illustrated in simple meaningful dishes. Enjoy the dish. Chop the onions and tomatoes, slit the green chillies and crush the peppercorns. Keep them aside. In a pan, heat the oil and saute the spices followed by the onions. When they are soft, add the ginger garlic paste, garlic flakes, tomato, turmeric powder and mix them well. Add little water till the onions and tomato cook well. Add the crushed pepper and salt, stir well and cook till the chicken is cooked. When the gravy thickens, remove from fire. 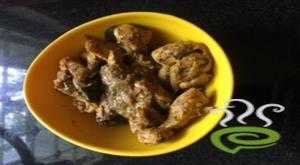 :- Pepper Chicken Curry is ready. 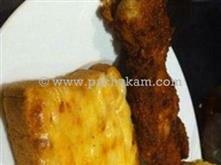 :- Serve hot with any flavored rice. Thanks for the recipe. I tried it yeserday and my family had a pepperry dinner last night. the only change was that i marinated the chicken . Thanx. Great recipe. 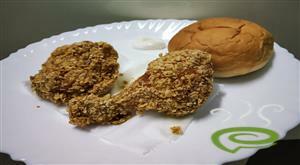 Chicken with a twist! 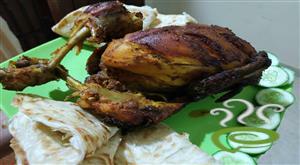 Yummy Taste, very exciting and lot easier to prepare than anything else.